Health is a critical area for stability and growth. It is not just a product of growth, but a fundamental driver for sustained economic growth. There is an ever-present threat of a pandemic or epidemic. Increasing anti-microbial resistance is a potentially catastrophic issue for the region. At the same time, there is an increase in non-communicable diseases, such as cardiovascular disease, strokes and cancer. 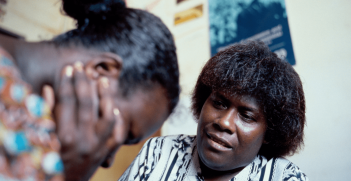 Australia has a proud history of contributing to global health through research, from Sir Howard Florey to Ruth Bishop, and through public health programs. 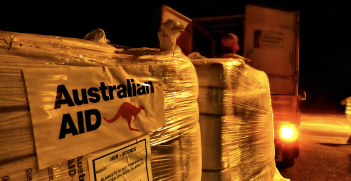 Through its aid program, Australia has worked closely with affected communities and civil society. However, recent cuts to Australia’s aid program have significantly reduced Australia’s global health spending. 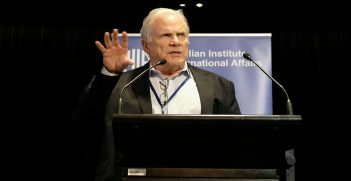 This has affected Australia’s relationships and led to it being seen as an unreliable partner, which impacts on its capacity to influence and lead in the region. 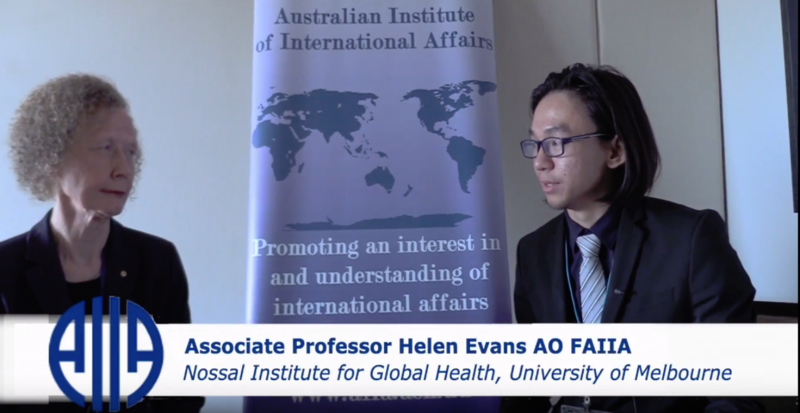 Australian Outlook Editor Tommy Chai interviewed Associate Professor Helen Evans AO FAIIA at the 2018 AIIA National Conference on 15 October. Helen Evans AO FAIIA is an Honorary Associate Professor at the Nossal Institute for Global Health, University of Melbourne, and a Co-Chair of the Malaria World Congress 2018. She was previously Deputy Executive Director at The Global Fund to Fight AIDS, Tuberculosis and Malaria. Prime Minister Morrison’s announcements of a potential move of Australia's Embassy in Israel from Tel Aviv to Jerusalem and of a review of support for the Iran nuclear deal threaten seriously to prejudice the national interest.